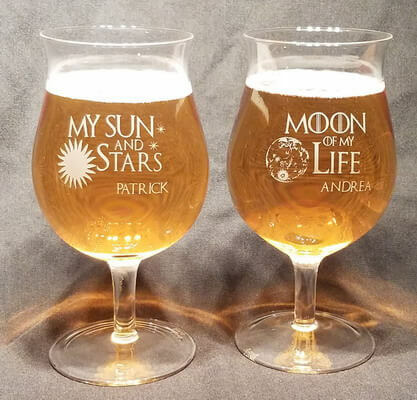 The Personalized Engraved Crystal Belgian Beer Goblet, set of 2, features the sun and moon designs as in the photo, personalized with the names of your choice (or without names)! Made in Europe from brilliant lead-free crystal, these Belgian beer glasses contains trace amounts of titanium for added brilliance and strength. Durable and elegant. 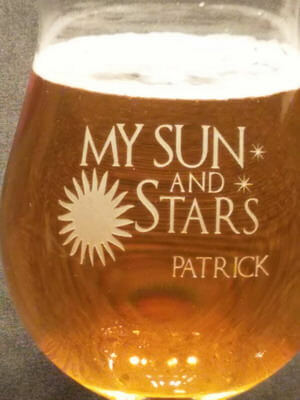 This glass is 6.25 inches tall and holds 18.75 ounces. 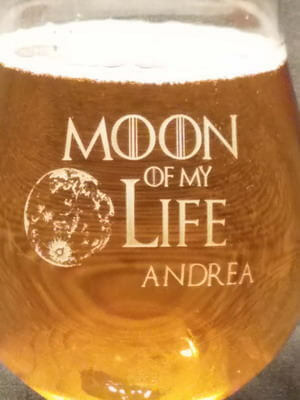 If you’d like these custom Belgian Glasses with something different it is also available on the Crystal Belgian Engraved Beer Glass page.